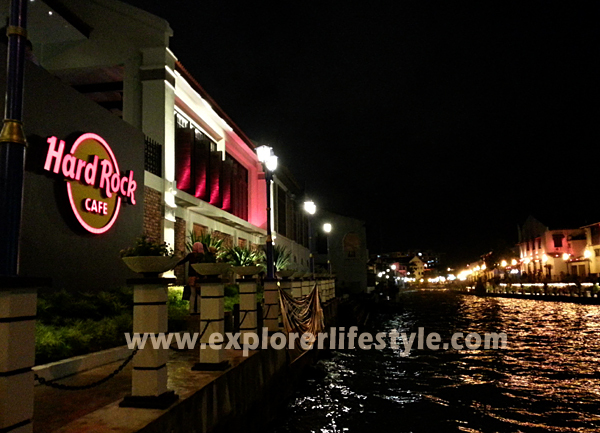 Hard Rock Cafe in Melaka is located at the entrance of Jonker Walk within the Unesco World Heritage site. 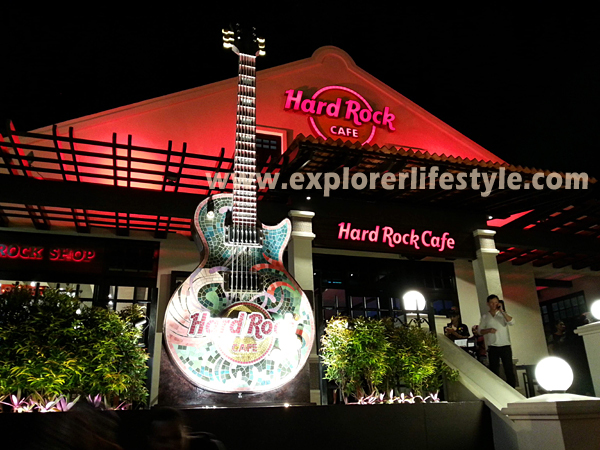 This is also the third Hard Rock Cafe in Malaysia, joining the popular locations in Kuala Lumpur, Penang and soon Hard Rock Kota Kinabalu, Sabah. A shock to many people on why they choose Melaka, it has brought new life to the once quiet Jonker Street here. HRC Melaka is also cleverly located just by the Melaka River and next to the bridge that leads to the famous Red Square and Christ Church in Melaka. 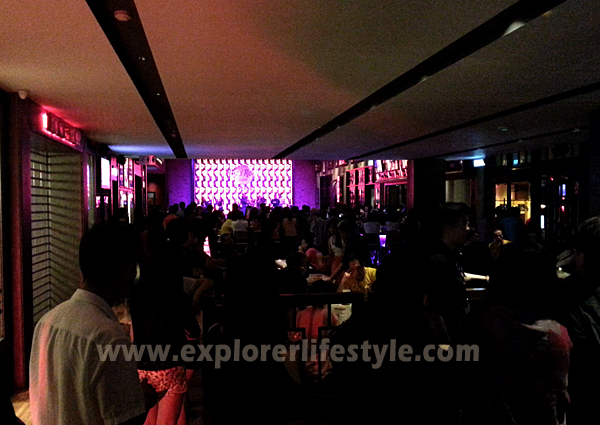 Hard Rock is also the first high-end restaurant to embrace the charm of the city. Featuring diverse dining, nightlife and cultural offerings, the 9,000-square-foot iconic restaurant is poised to become the city’s newest landmark destination. The cafe includes seating for 200 people, an upscale vibrant bar, a spacious outdoor dining area, a live entertainment space that will feature Malacca’s unique local music scene, and a Rock Shop. Select, hand-picked pieces of memorabilia from Hard Rock’s iconic collection adorn the walls of Hard Rock Cafe Melaka. Hard Rock Melaka official website. For those heading to Melaka and spending the night there, you now have and additional option for dining, drinking or just hanging out at one of the new entertainment places in Melaka. Strategically located at world-famous Jonker Street, it is hard to miss when you are going here. Another iconic place near by is the famous Melaka Chicken Rice Ball Restaurant called Chung Wah Restaurant where is just next to the Hard Rock Cafe in Melaka. This is one of Melaka’s hidden food secret, Yee Kiau Mee or Yee Kiau Noodles which is actually fish paste and noodles served in either soup or dry style. There are apparently a number of stalls that sell this but only two or three which are very good. These fish paste noodles are also usually found around the main town area. 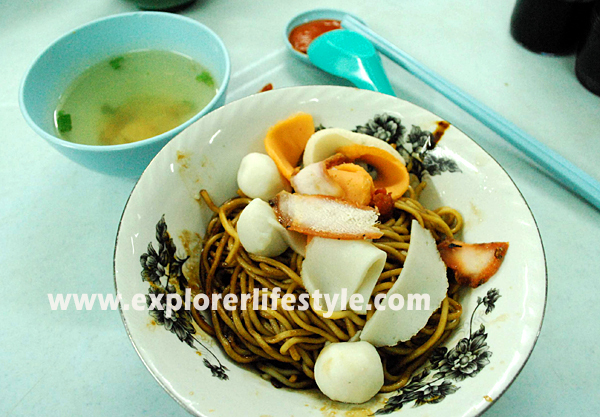 One of the well known Yee Kiau Mee stalls is found at Kampung Lapan in Melaka and only sold in the day. The original dish comes with Fish Balls and Fish Cake and you can choose your type of noodles but there are many other new generation stalls which give you more variety like a Yong Tau Foo selection. Yee Kiau Mee is best tried in kon low or dry soy sauce styled. However, you can also order it in the soup style. Some stalls serve this with pork lard oil and the pork lard or chee yau char while some even throw in some sliced roasted pork or char siew but you can instruct them to hold all of these when you place your order. Your order usually comes with a bowl of soup and a small plate of cut red chill or the stall’s own homemade chill sauce. Some places will mix the chili sauce into the black sauce mixture if you want it with chili, so best to let them know if you want the chili on the side. The funny thing about Yee Kiau Mee is that you can only find the best ones in Melaka. If you go around Malaysia, you will never see any stall selling this dish. What comes close to this is Fish Ball Noodles or Kampar Noodles but the comparison is too far apart. So for the true foodie or food lover, you need to go to Melaka to try this dish. 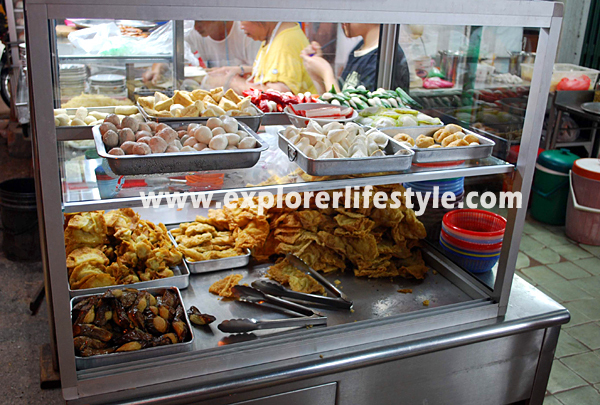 This article is also in conjunction with my Visit Malaysia Year 2014 Food Special. So next time you are visiting Melaka, ask some of the locals where you can find some good Yee Kiau Mee.